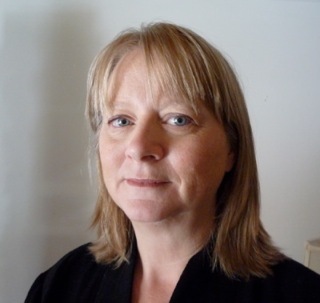 Kristin Bundesen earned her doctorate at the School of History, University of Nottingham, UK. Her first degree was in Drama and Dance from Bard College. At Walden University, she serves as Senior Core Faculty in the Humanities and has been honored with nomination for the Center for Faculty Excellence Award for teaching and service to the university. She has taught at the University of Nottingham, Western Connecticut State University, Santa Fe University of Art & Design, Walden University and Alcorn State University. She served as the founding Executive Director of the Southwest Mississippi Center for Culture & Learning at Alcorn State University, the oldest land-grant HBCU in the nation. She maintains an active research agenda both presenting and publishing for the academic and lay audience on the topics of popular culture, sixteenth-century European history, gender, social, and political history. She served as a scholar of record for the First Folio! The Book That Gave Us Shakespeare Exhibition at the New Mexico Museum of Art supported by the National Endowment for the Humanities, The Folger Shakespeare Library and the American Library Association. She was a founding board member of the International Shakespeare Center Santa Fe. Bundesen, K., Lawson, J. (2018). Dudley Knollys: Elizabethan Gender Identification. Notes & Queries. Bundesen, K. (2009). Lousy with cousins: Elizabeth I’s family at court. Bundesen, K. (2016). A Biographical Encyclopedia of Early Modern Englishwomen: Exemplary Lives and Memorable Acts, 1500-1650, Ten essays on ten different women. Bundesen, K. (2015). 'Take your shirt off; I want to look at you': Is Outlander dazzling us with a shifting gaze?. Southwest Popular Culture Conference. Bundesen, K. (2016). What is the First Folio anyway, and why should we care?. New Mexico Museum of Art. Bundesen, K. (2011). “Elizabethan ladies-in-waiting and the Privy Council; meddling women or political participants?” . North American Conference on British Studies. Bundesen, K. (2014). “Ladies-in-waiting, Ladies-at-work: Elite Elizabethan female professions”. Sixteenth Century Conference. Bundesen, K. (2009). Elite Elizabethan female identity. Social History Society Annual Conference. Bundesen, K. (2018). Elizabeth I: Courts, Conspiracies, and Careys. Renesan Education Institute. Bundesen, K. (2017). Elizabeth's two acting companies: Theatre as family business. Renesan Education Institute. Bundesen, K. (2013). Hero or fraud: The Shakespeare authorship question and what it says about literature, the grassy knoll, and us. Mid-west Popular Culture Conference. Bundesen, K. (2008). The Royal faction: Elizabeth I’s family as an instrument of royal will. Northeast Conference of British Studies. Bundesen, K. (2019). The Marvelous Mistress Margaret, Countess of Lennox: The most important Tudor you don’t know about.. Renesan Institute for Lifelong Learning. Bundesen, K. (2018). From Archives to Narrative: The Need for non-royal 16th century biography. Sixteenth Century Conference.